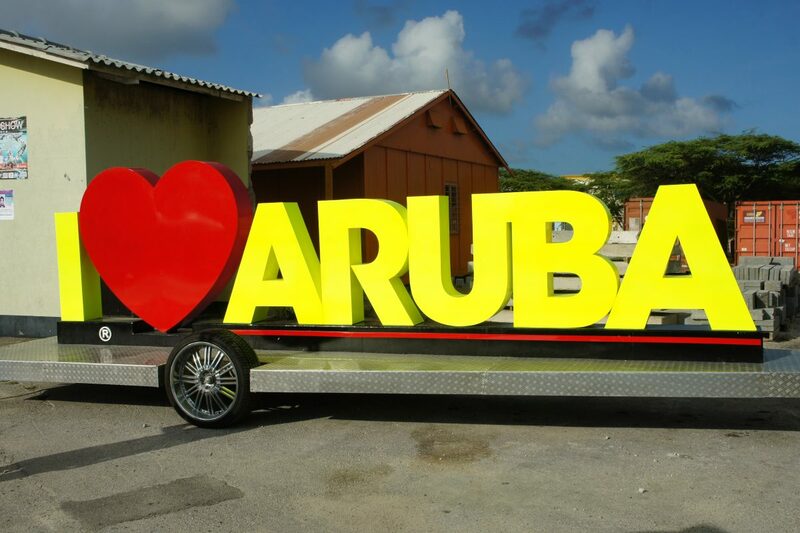 Aruba’s thriving restaurant scene is made up of long-time favorites and fresh-faced newcomers. During our recent trip, we had a chance to review The West Deck. 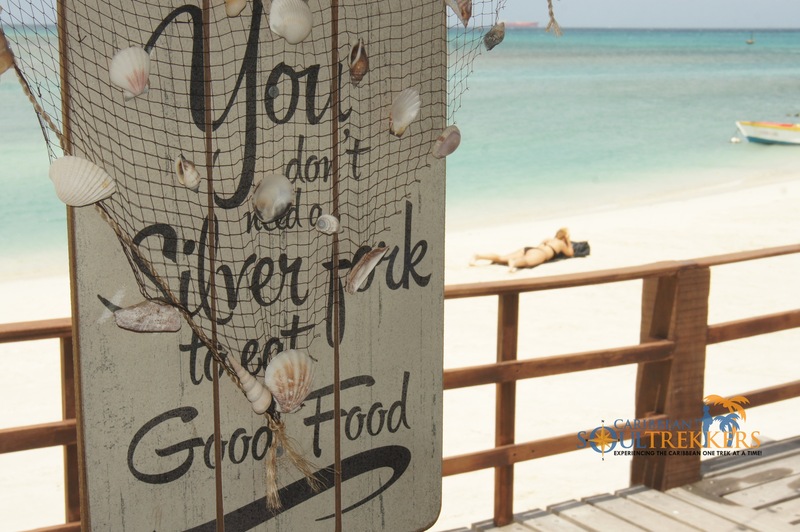 This laid-back, tropical oasis on the outskirts of downtown Oranjestad offers an array of local and Caribbean tapas in a sublime, beach-side setting. 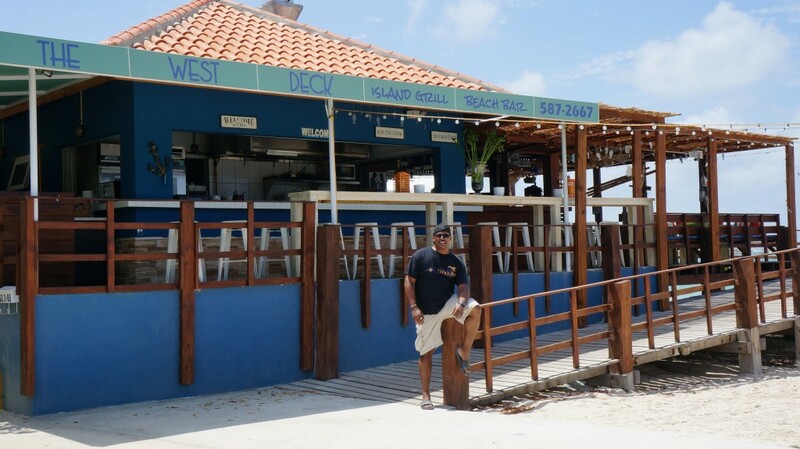 Although it faces Aruba’s busy Main Street, The West Deck’s dining area is just steps away from a postcard ready beach of white sand and clear, blue water. The setting takes you away to a tranquil, Caribbean hideaway. 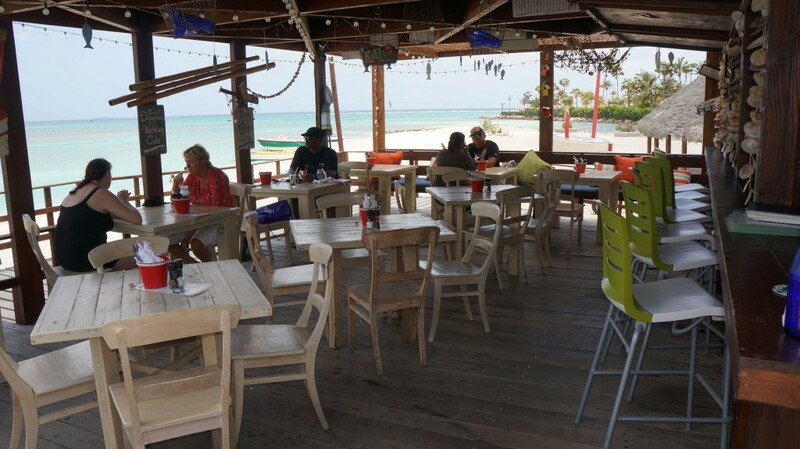 The West Deck was designed without walls, allowing it to take full advantage of the killer view of the island’s west side (thus, the name West Deck) and constant Aruban trade winds. 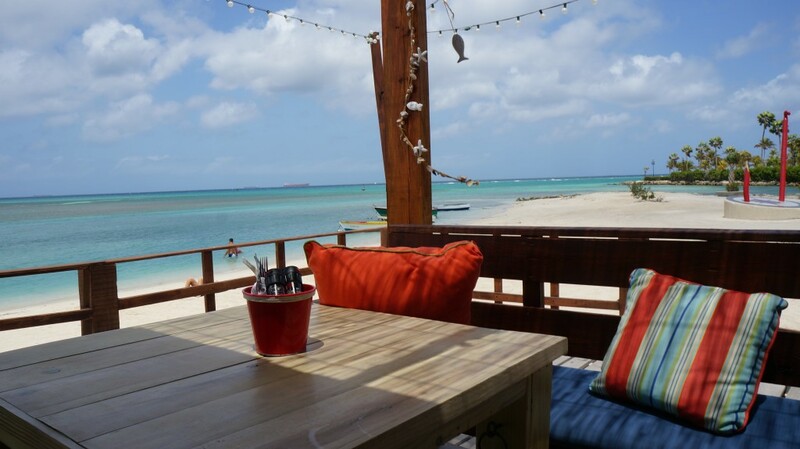 It exudes an eclectic Caribbean, seaside charm with driftwood furniture, tropical-colored accent pillows, quirky beach and food-themed placards posted on beams, seashells and wooden fish strung from rafters and upbeat Caribbean music playing in the background. 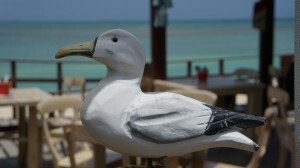 …and provides a killer view of the lovely beach from any table. The West Deck’s drink menu offers a variety of beers (including local Balashi), martinis (Caramelized Apple-tini, What-a-mellon-tini, Chocolate-tini and Mango-tini sounded divine), flavored margaritas and mojitos, frozen drinks and tropical cocktails. 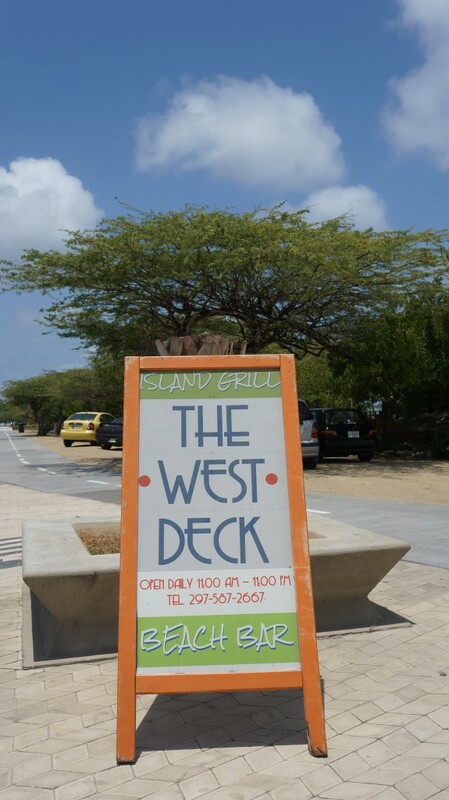 The West Deck’s biggest draw is its extensive menu of Caribbean and local tapas. 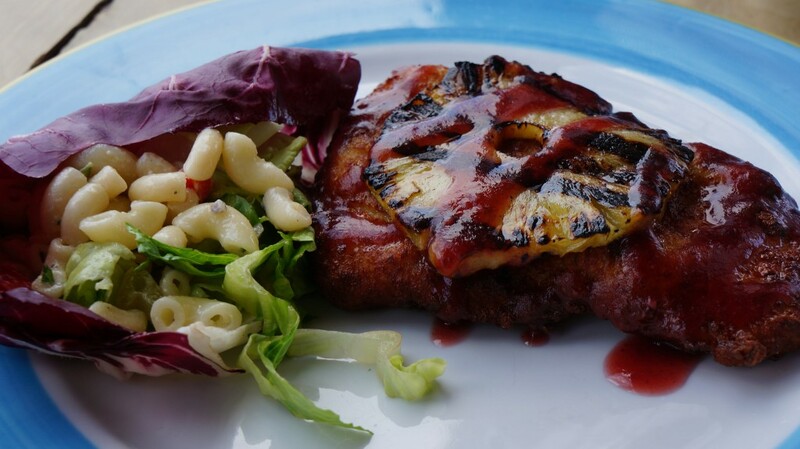 With such a vast assortment, diners are provided with a unique opportunity to create a personalized meal of dishes they’ve never tried alongside ones they’ve loved and need to try again. 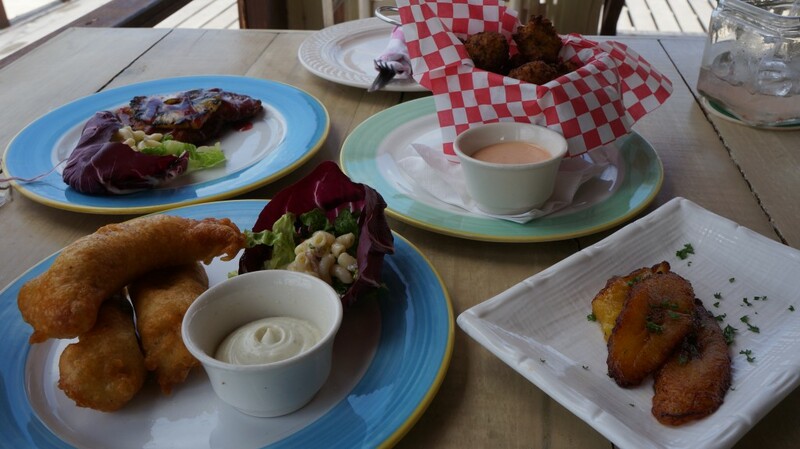 But be warned, options like Fire and Spice Crackling Calamari, Tenderloin and Plantain Pincho, Balashi Grouper Fingers, Aruban Keeshi and Arashi Chicken will make it hard to resist ordering the entire menu (reason enough to bring a friend or a few). Though the bulk of The West Deck’s menu consists of tapas, large plated entrees are available on the daily specials board too. Our server, Sandra, was quite a delight. Though only at The West Deck for several days, her bright smile, bubbly attitude and dining recommendations capped off a wonderful experience. 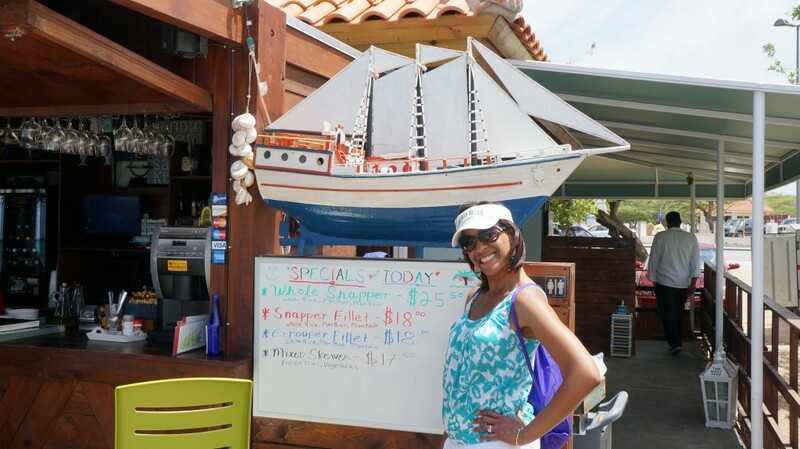 Travelers who frequent Aruba will recognize her and her energetic personality because she previously worked at the Westin (which closed down recently) on Palm Beach. 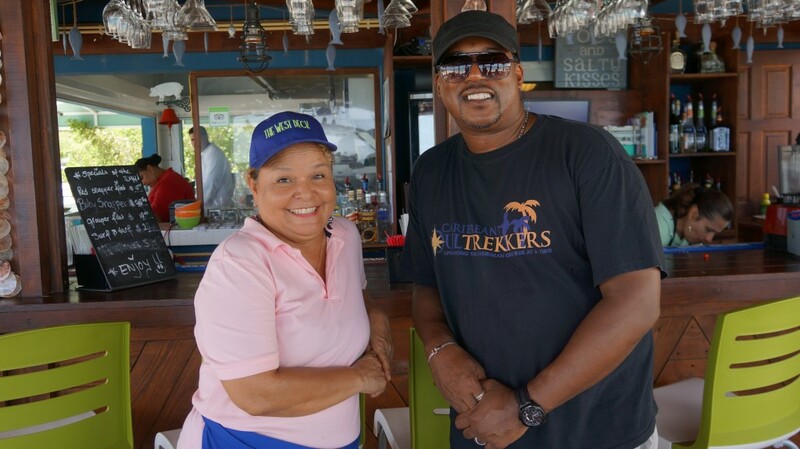 After relishing our lunch at The West Deck, Caribbean Soul Trekkers agreed that it fulfilled its mission to “awaken your senses and satisfy your palate by offering you a unique and creative menu”. 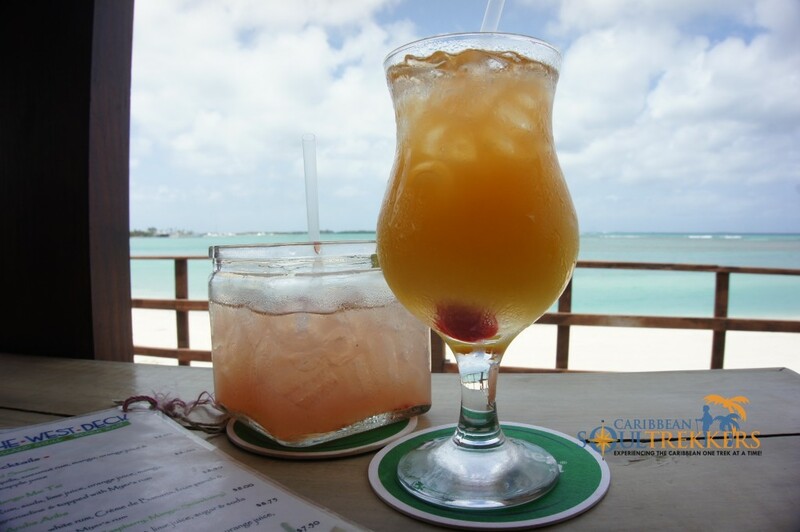 We will certainly be back to sample more Caribbean tapas and take in its picture-perfect setting by the ocean. 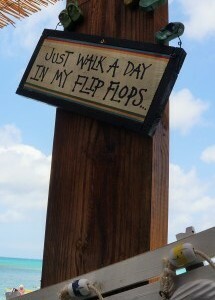 Soul Trekkers, we’d love to hear about your favorite beach-side restaurant in Aruba. Please leave a comment! 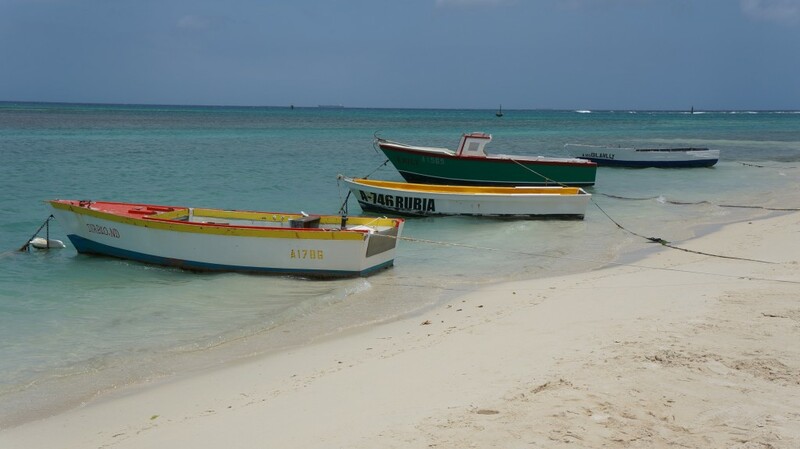 All pictures and text contained in this blog are the sole property of Caribbean Soul Trekkers unless otherwise indicated.